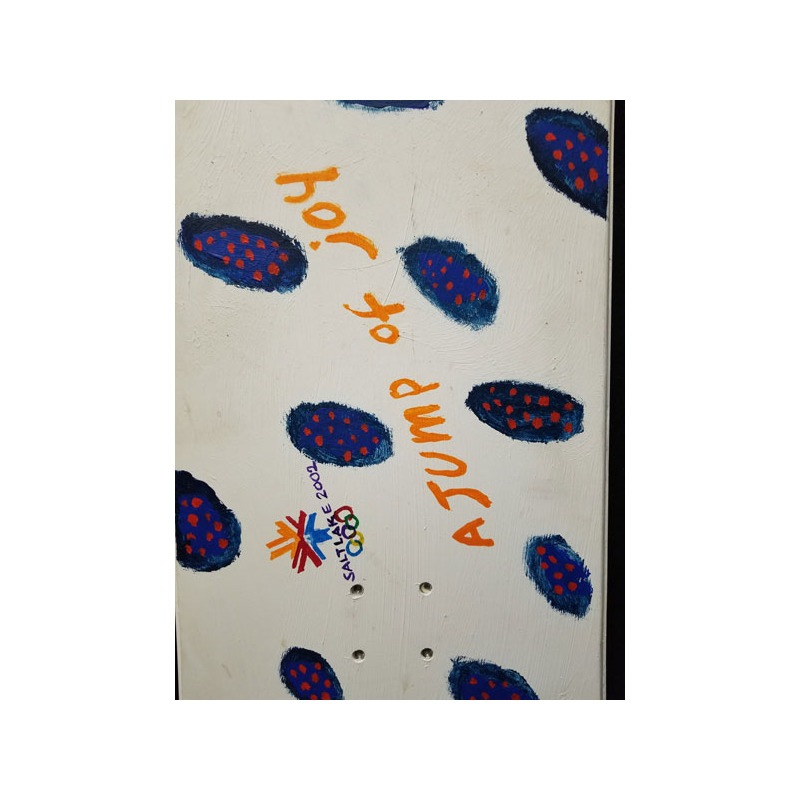 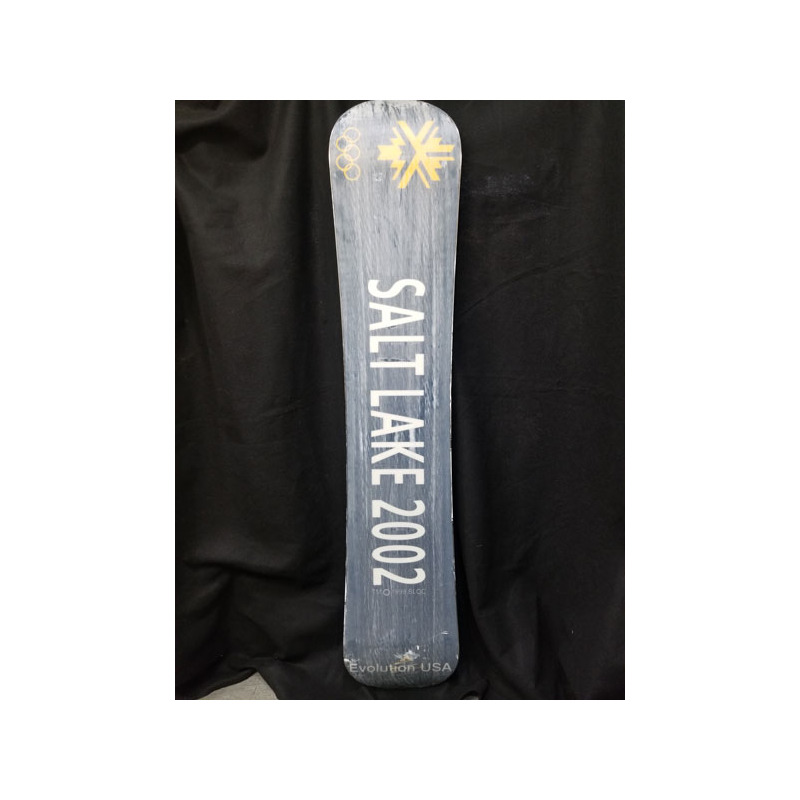 This unique piece of mixed media artwork on a Snowboard was created in 2001 for the 2002 Salt Lake City Olympic Games by artist Clemens Briels. 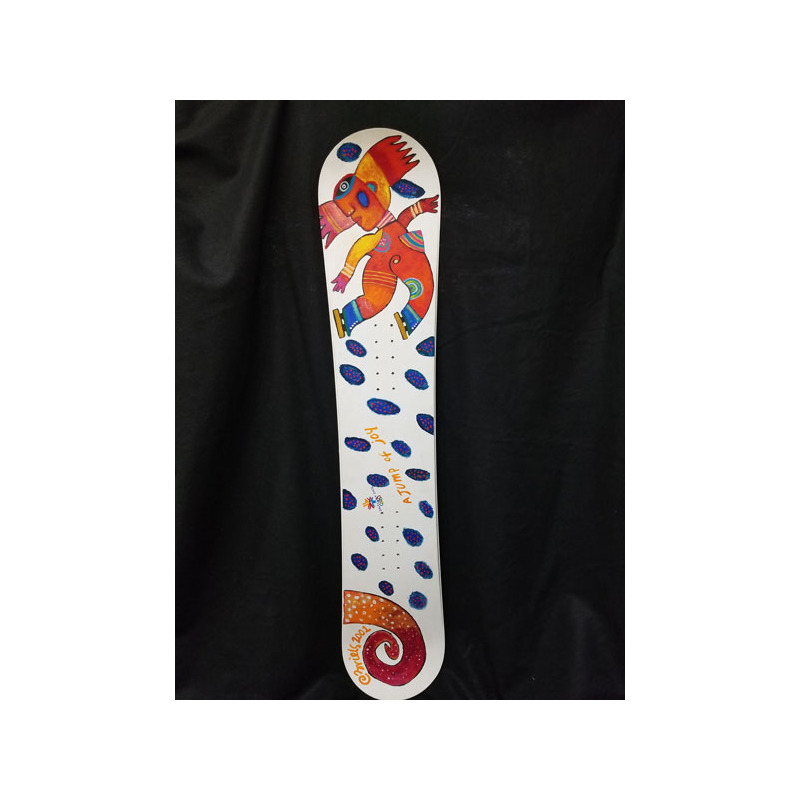 In a Latin American inspired style of pop art is a great addition to any collection. 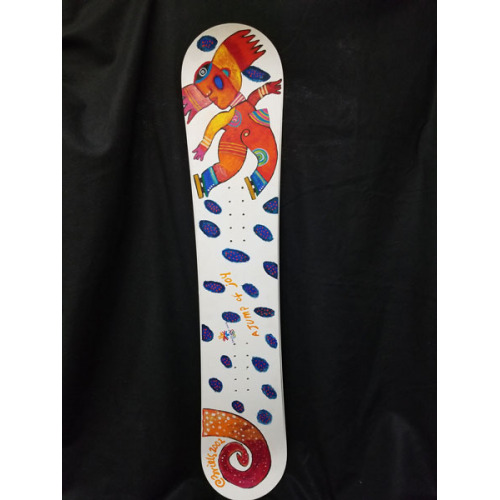 Being painted on a snowboard allows the painting to stand out on any wall while incorporating the Winter Olympic Spirit. 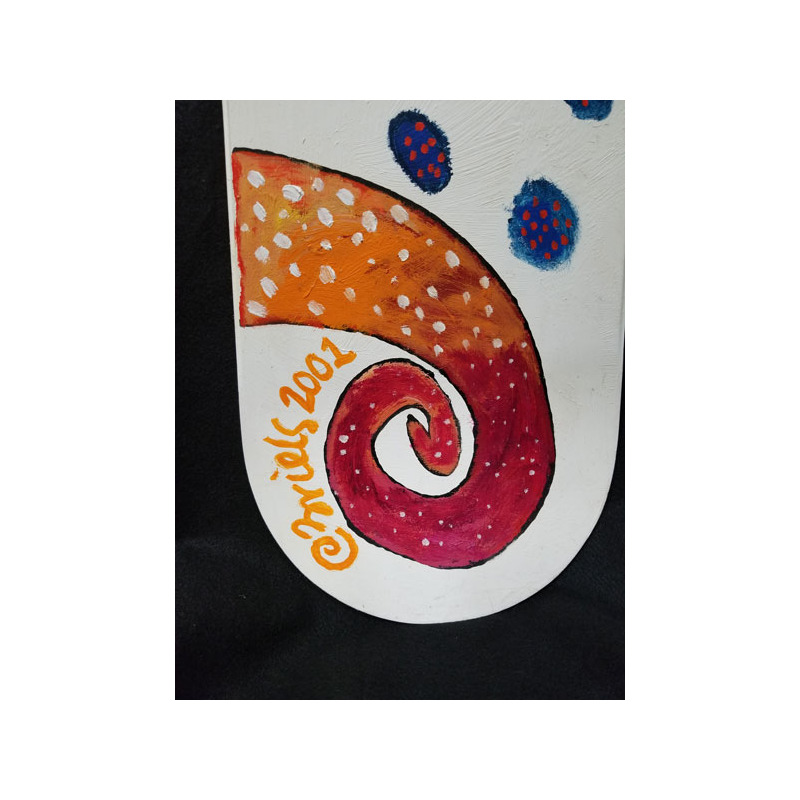 Briels is the first Dutch artist who has received the honor to be selected by the American Olympic Comity.